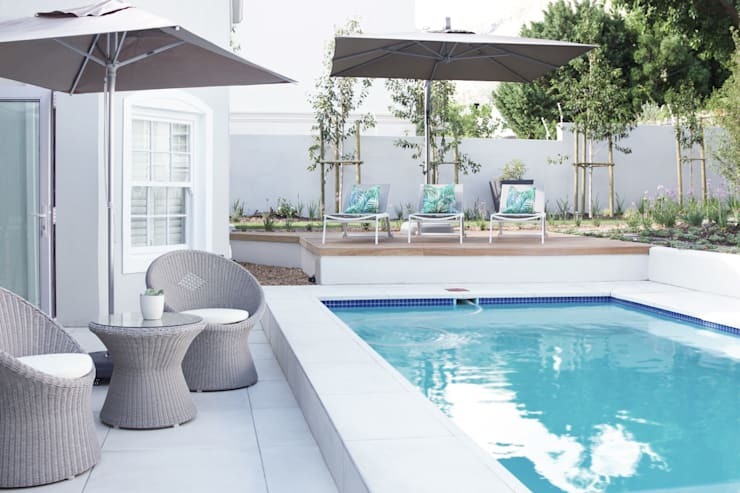 While summer is still here in South Africa, we need to make the most of comfortable (okay, make that ‘very hot’) outdoor temperatures and the fact that we have more daylight than we will in a few months’ time. Fortunately, we have a range of entertaining activities to choose from: braaing, camping, going out with friends, hitting the beach, you name it. Or we can just stay put at home and chill there – and we have just the thing to help you “chill”. 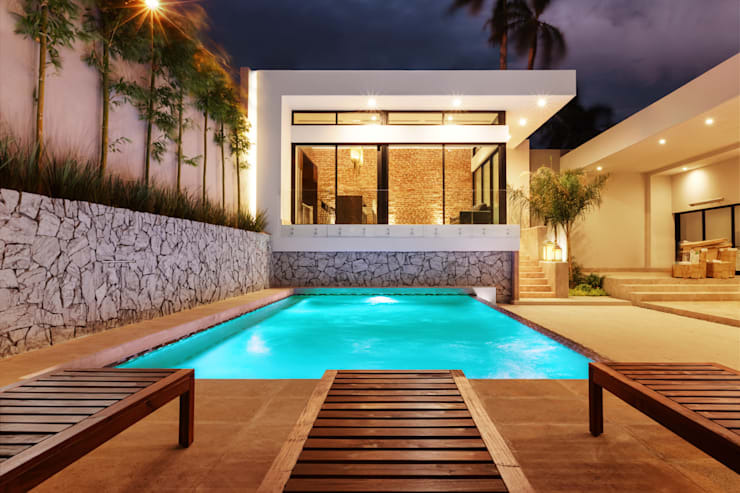 Yes, a swimming pool still remains one of the best things one can add to a home, as it is not only a heaven-sent feature during hot and humid times, but can also really keep the vibe going during social get-togethers. Let’s have a look at 13 sublime pools for some inspiration, shall we? 1. 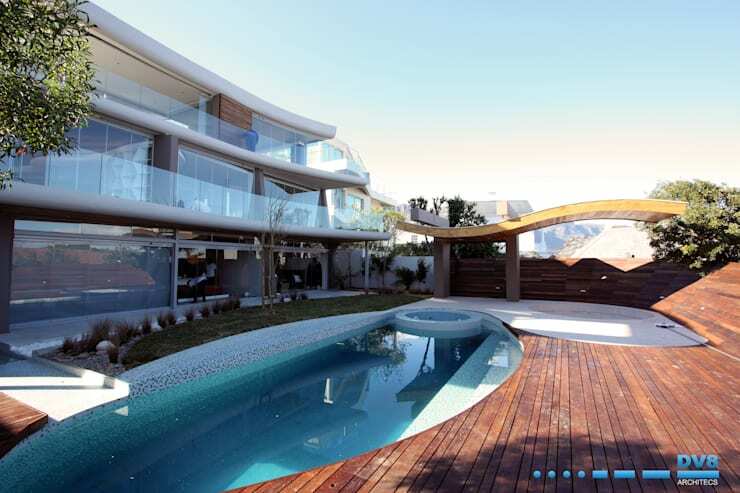 This classic-shape pool not only colours in the back yard, its curves also contrasts stunningly with the linear design of the house. 2. Some motif never hurt anyone… this inspiring creation adds some pattern to the picture via its mosaic-tile surfaces. 3. We bet that floating in this beauty, which is surrounded by stone pillars and a fresh garden, will make anybody feel like royalty. 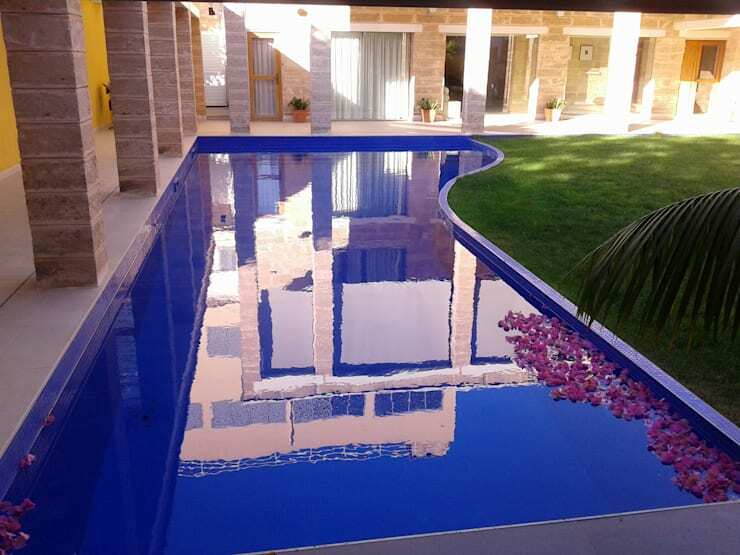 Need a professional touch for your pool (or bathroom or kitchen… )? Check out our range of experts here on homify. 4. Fancy some water features for a tranquil touch and sound? 5. 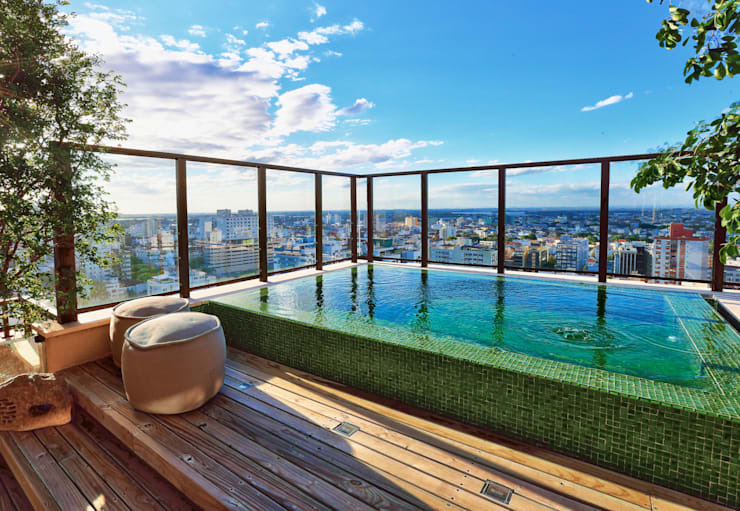 This stone-covered pool has a unique movable floor and steps that completely disappears into the terrace at the push of a button. 6. We are in love with the ‘Hamptons-style’ look of this backyard beauty, which just looks like the perfect and most idyllic place to relax. 7. 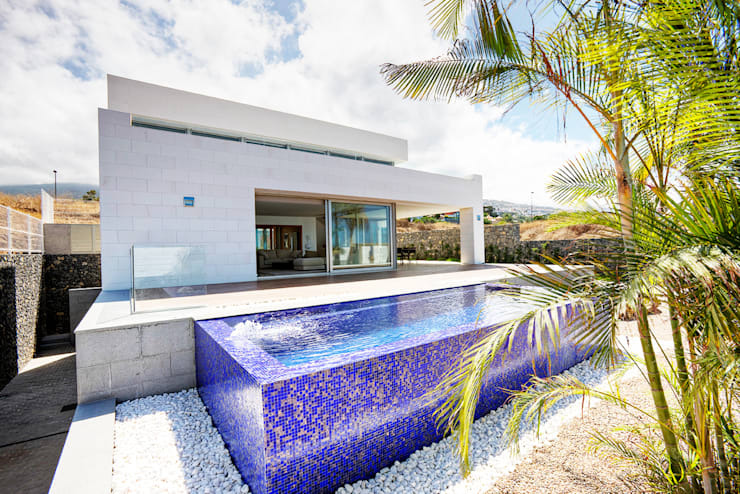 Like everything else in life, pools offer us choices – and a simple, block-shaped one here would NOT have had the same appeal as this curved creation. 8. 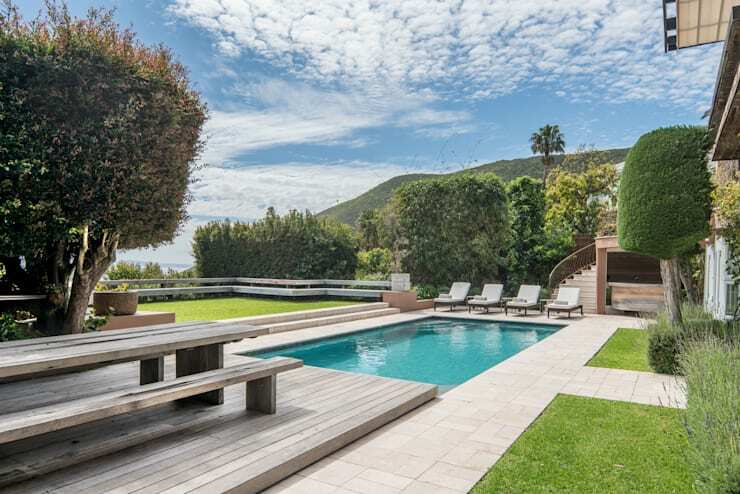 It’s like walking into a fairytale with this backyard: a wavy styled pool, a walking bridge, spots of pebbles and a picturesque collection of plants, shrubs and trees. 9. 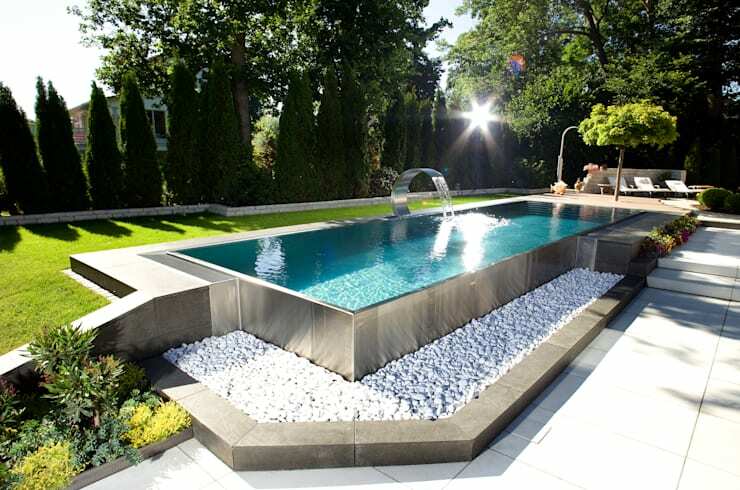 Now, if you want your pool to exude a sleeker and more cutting-edge look, we recommend this steel-styled beauty. 10. 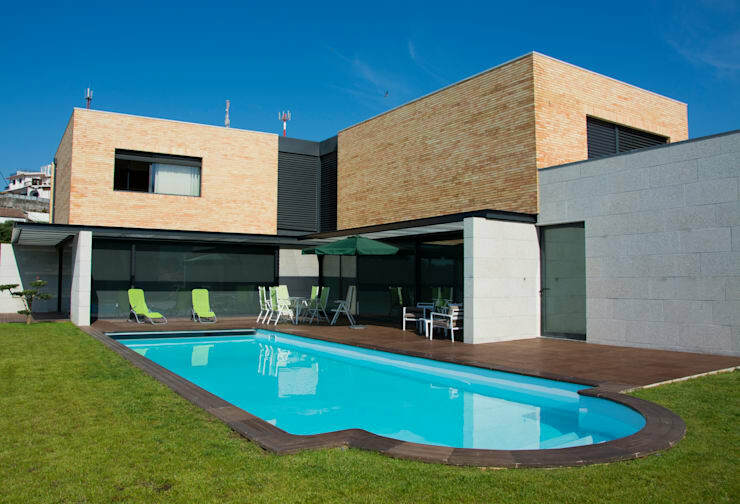 This vast pool seems to frame the entire side of the house – perfect for practicing laps! 11. Size isn’t everything – just look at how this modest little pool still takes one’s breath away via the setting and scenery. 12. 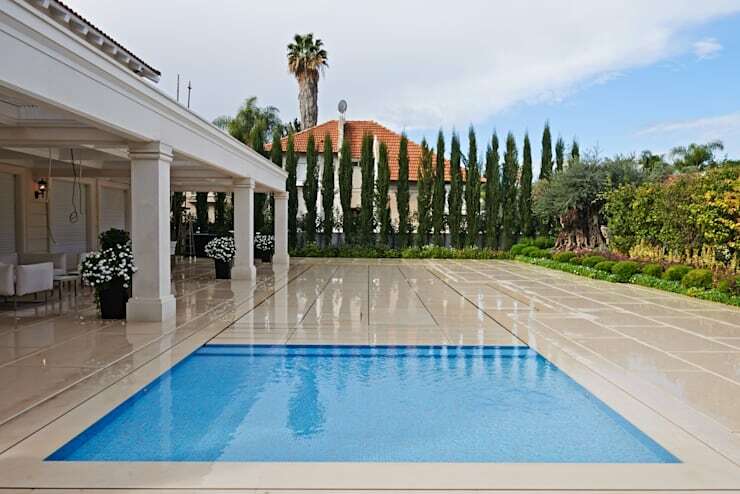 With all the surrounding surfaces being neutral- or earthy hued, this swimming pool looks even more cool and inviting. 13. Although this creation won’t allow any diving or lap-practicing, its striking style and superb view still make it a firm favourite of ours. Not blessed with a lot of space? No problem—see these Pool ideas for small gardens. 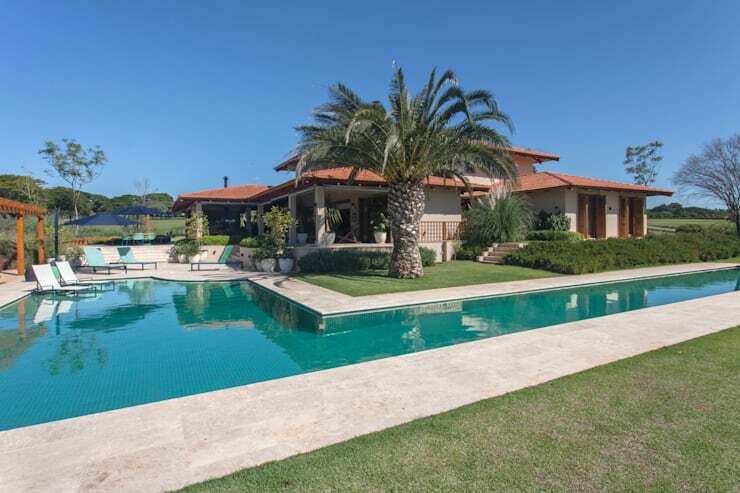 Which of these swimming pools would you pick?